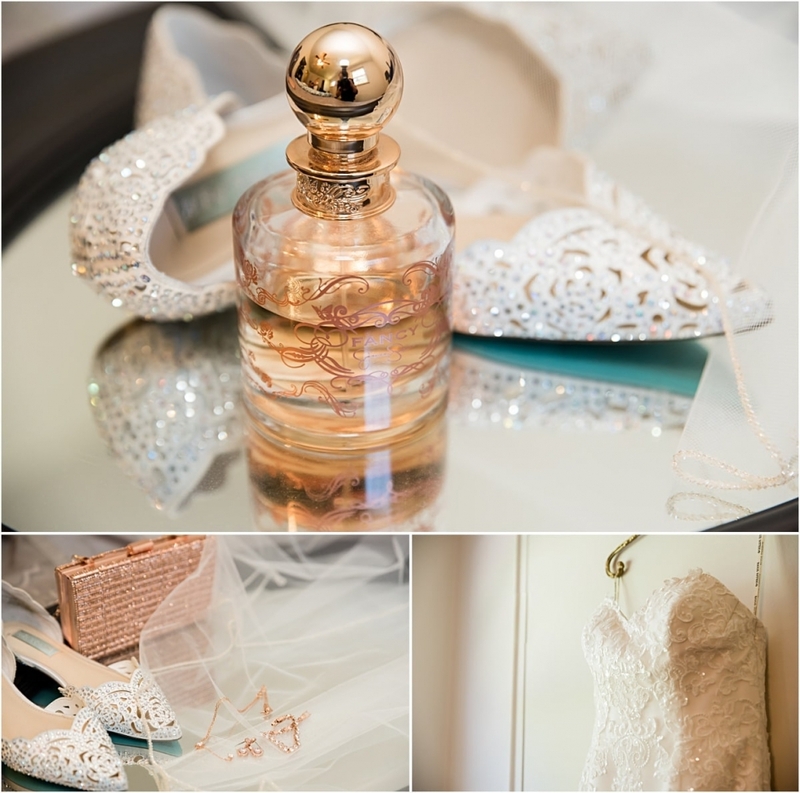 This wedding was classic, elegant, and LOTS of fun. 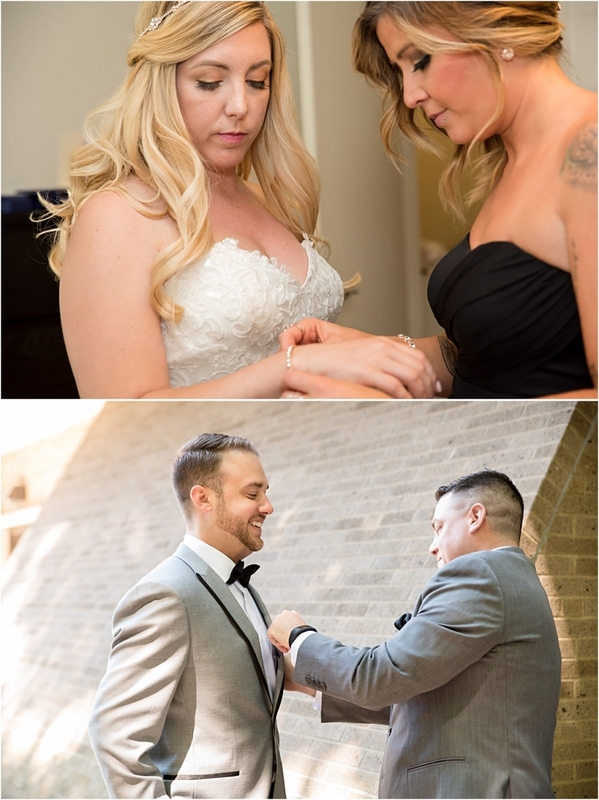 Seriously, Amanda and Brad were so much fun to be around and their wedding day was no exception. They clearly not only love each other dearly, but they are best friends and have the best time together. We had a ton of fun planning their photography for the day and I couldn’t have been happier with how beautiful their gallery turned out. 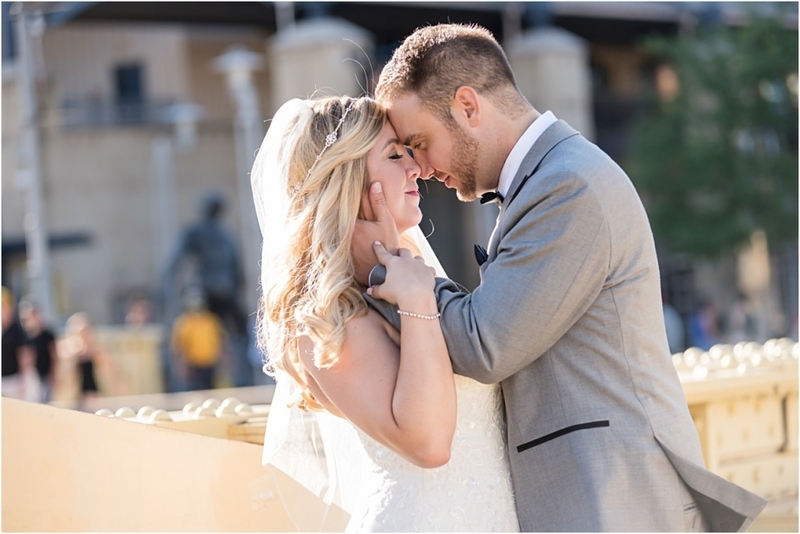 They had a lovely traditional Catholic wedding ceremony in the North Hills and had their wedding at The Rivers Casino in downtown Pittsburgh. Yep, that’s right – a Rivers Casino Pittsburgh Wedding, guys. I told you this was a fun wedding!! I love a traditional Catholic wedding ceremony. Brad walked down the aisle with both of his parents and some of the moments with the three of them on their walk down the aisle were so beautiful. Brad’s reaction to Amanda was one of my favorites of all time and they were all smiles as they were announced husband and wife. Brad is a season ticket holder for the Pittsburgh Pirates, so naturally, we headed over to the Roberto Clemente Bridge for their portraits. Classic Pittsburgh portraits with a black and white wedding party – it doesn’t get any better than that people. Oh and we had a fun visit from a couple Furries. If you don’t know what that is, Google the Pittsburgh Furry Convention. You’ll see their group photo with a couple of the fun characters below. Amanda and Brad, I had THE best time working with you both and am so thankful to have met you. Thank you so much for allowing me to document your incredible day. Are you recently engaged and planning YOUR Pittsburgh wedding?! I’d LOVE to connect with you!! Please feel free to contact me below or email me directly at AmandaBriscoPhotography@gmail.com!